Sleaford and North Hykeham By-Election Odds: Can UKIP win? 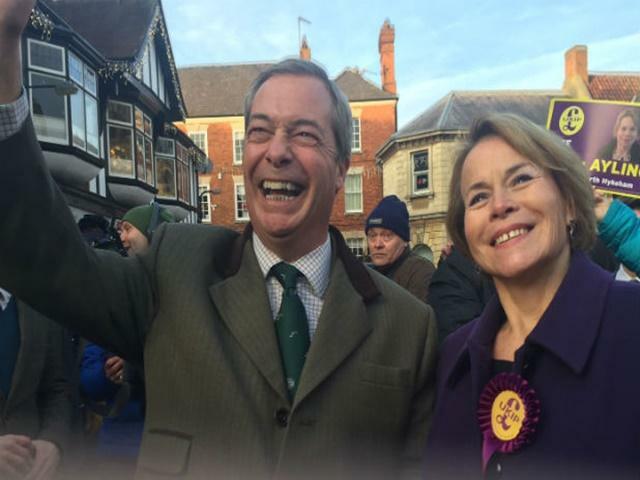 Sleaford and North Hykeham By-Election: Can UKIP pull off another massive upset? "Though the majorities were similar, this is a much safer Tory seat than Richmond Park. Their new candidate is local paediatrician who strongly supported Leave. It would be stretching credibility to claim Caroline Johnson won't sufficiently represent the will of her constituents." On those bare numbers, even the [1.1] odds about a Conservative win would appear to understate their chances. However after a run that has seen Remain and Hillary Clinton beaten after being matched at even shorter odds, then Zac Goldsmith defeated last week from odds around [1.33], who would dare back a short-odds favourite in a political market? Before assuming a repeat of last week's drama, first consider the fundamental differences between this seat and Richmond Park. Unlike that heavily pro-Remain, outer-London seat, the result in this rural Lincolnshire constituency was a resounding victory for Brexit, by 62-38. A Lib Dem victory here would be totally miraculous. If there is to be an upset, it would surely come from UKIP, whom the market rates the only serious danger at odds of [10.0]. The logic goes that, despite Theresa May's adamance that "Brexit means Brexit", a vote for UKIP would build pressure for a harder, faster variety. Voters are adept at producing mid-term protests and, during the last parliament, UKIP became very adept at capitalising upon them. Indeed, this presents the first real test for UKIP since the referendum and, as importantly, since Nigel Farage stood down as leader. Now we can begin to find out if they are a serious political movement, with longevity, or a single-issue protest party who temporarily rode the wave alongside Farage's relentless publicity. It is way too early to tell. There is no question that Brexit has the potential to completely re-align UK party politics. This issue will drag on for years, the electorate is becoming ever more divided and it may be that voters end up choosing the party that most clearly and vehemently represents their views. If the Tories end up being seen as prevaricating, failing to control immigration or pursuing a softer Brexit than Leave voters want, UKIP offer a harder alternative. Paul Nuttall is a competent replacement, offering a slightly different brand to Farage and could make progress among ex or wavering Labour voters in the Midlands and North. On the other hand, UKIP have plenty of problems. Their leadership contest was a divisive farce and reports have suggested a mass defection of members to the Tories. This would make sense, given that the party's initial surge owed plenty to ex-Tories unhappy about EU membership. Once the boil that plagued them for the past quarter-century has been lanced, the Tories have a golden opportunity to unite the Right. Critically, in a country that uses a First Past The Post voting system, UKIP favorability numbers remain dire. That suggests winning any constituency will remain hard work, as voters are quite capable of uniting around the best-placed alternative to an unpopular choice. It also suggests it will be hard for UKIP to even borrow voters from other parties for by-election purposes. There's no prizes for tipping a [1.1] favourite but equally no point in backing an outsider for the sake of a bet. Though the majorities were similar, this is a much safer Tory seat than Richmond Park. Their new candidate is local paediatrician who strongly supported Leave. It would be stretching credibility to claim Caroline Johnson won't sufficiently represent the will of her constituents. In my view, we are likelier to see a close betting heat in the Without Conservatives market. UKIP will be red-hot favourites around [1.33], despite finishing third at the general election. This is probably a correct interpretation, though, given that they are trying to overtake Labour. This seat does not look the type where Jeremy Corbyn will fare well, given the significant presence of RAF bases. After losing their deposit last week, Her Majesty's Opposition could be in for another grim night. Both UKIP and Lib Dems look well placed to steal some of their 10,000 voters from 2015. Indeed the latter can't be written off for second place, if the 38% that supported Remain are motivated to turn out on a cold December night for a by-election they must know in their heart of hearts cannot be won.